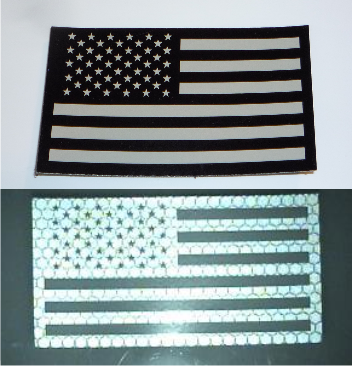 Infrared Coatings Magic Black Screen Printing Ink Formulations are used by Anytime Sign http://www.anytimesign.com/nightvisionpatches to make military and Law Enforcement Night Vision Patches. This short video demonstration shows how typical patches with Velcro look in daylight and with Night Vision Equipment. Black on black patches are totally covert because they appear black during the day but reveal a clear insignia with night vision equipment. Anytime Sign uses genuine USA made 3M SOLAS and genuine USA made Velcro brand Velcro with High Heat adhesive suitable for Desert and tropical use.